CALL OF CTHULHU (2018) is a roleplaying survival horror game developed by Cyanide and published by Focus Home Interactive. Initially, the game was supposed to be created by Frogware Games, which created the Adventures of Sherlock Holmes (including one where the Great Detective investigates the Cthulhu Mythos). They had the game taken from them and, ironically, ended up making their own Lovecraft game with the upcoming THE SINKING CITY. The game was moved into production in 2016 and this means it had a roughly two year development cycle, probably less, which I'm going to comment on. Call of Cthulhu's roleplaying game (as well as its spin-offs) is a franchise that I am deeply in love with and have loved for literal decades. I've never been quite the fan of the tabletop RPG as some (being more a Vampire: The Masquerade and Star Wars D6 fan) but I've always appreciated its existence. Chaosium's Call of Cthulhu is arguably the greatest legacy of August Derleth (and arguably Lovecraft himself). Famously, August Derleth re-wrote a lot of H.P. Lovecraft's fiction and reformatted them as conflicts between good vs. evil. While the folks at Chaosium dialed back some of his sillier notions, their version is fundamentally a game about fighting the Mythos. Whether with Tommy guns, spells, or dynamite--you can do some damage against the Unnameable. H.P. Lovecraft only had that be true in a few of his works (THE DUNWICH HORROR, THE STRANGE CASE OF CHARLES DEXTER WARD, and THE THING ON THE DOORSTEP). You could never stop Cthulhu but you could possibly delay him from ending humanity for another day. Call of Cthulhu is ostensibly as an adaptation of the pen and paper game like the previous CALL OF CTHULHU: DARK CORNERS OF THE EARTH. So is it any good? I very much enjoyed it but this is going to be a review with a lot of caveats. Call of Cthulhu is a good game but it's not a great game and it's disappointing because you can see this could have been a great game. It's a game which suffers from dated graphics, inconsistent gameplay, confusing storytelling, and (most of all) a complete lack of scares. Call of Cthulhu is a horror game that fails to achieve anything resembling creeping dread and that's a shame because it really looked like they had something here--it's just lost in a sea of other ideas. The premise is as follows: Edward Pierce, private detective and WW1 veteran, is hired by the father of a famous painter named Sara Hawkins. Sara is a minor celebrity with a reputation for painting surrealist paintings that are vaguely disquieting. She's accused of burning down her house with her child, husband, and self inside. Sara's father wants to exonerate his daughter and sends Edward off to Darkwater Island off Boston to do it. What follows is a rather predictable collection of events with the island being controlled by an evil cult, a plot to bring something dark and nasty into reality, an asylum section, and a sanity meter. There's even a shooting section which feels totally out of step with the game and hurts the narrative. I really wanted to like this game but it jumps out and yells "SURPRISE!" way too early. It's about twenty minutes into the game that you've already found the secret temple to the world's most famous Great Old One and what his worshipers are up to. There's really nowhere to go from there and the rest of the game struggles to catch up on the fact Pierce knows the secret of the island for the majority of the game. The game has some really good elements to it and I love the characters of Cat Baker, Marie Colden, and the posthumous Sarah Hawkins. I don't like switching to their perspectives, which takes us out of the perspective of Edward Pierce too often, but I enjoyed interacting with them. I really wanted to do more interaction and investigating with the locals but there's not really much chance to roleplay or investigate in the game. It's all very linear but takes the illusion of being open-world when I think a more Telltale Games or LIFE IS STRANGE format would have benefited the story. Gameplay wise, the game mostly consists of wandering around small levels looking for clues and talking to people. The stat sections leftover from the tabletop roleplaying game sometimes add a new line of dialogue or option but not enough really justify the EXP point section of the game. There's a number of stealth sections and the aforementioned shooting one but not so much that it really feels like a game you can honestly lose. Indeed, the most tense section of the game is where you have to play tag with the Dimensional Shambler as Sarah Hawkins (who appears via flashback) and one of the few scenes with any real tension. It's weird to say it but the game's best sections are not the Cthulhu-related ones. 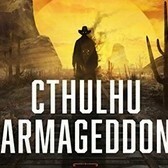 The story is most entertaining when you're talking to Cat Baker the Bootlegger, Marie Colden is investigating horrible afflictions she doesn't realize are tied to the Mythos, or when you're dealing with a haunted art gallery instead of the Cult of Cthulhu. These elements set up in the 1920s feel more authentic and give a sense of stakes to the horror that is otherwise absent. The fear of the Mythos is the fear of the unknown and too much of this is a theme park ride of Lovecraft's greatest hits. In conclusion, I think this was a decent enough game but I believe it needed a more coherent rewrite and a focus on tension. Edward Pierce can lose SAN but it's almost impossible to die in the game save in a few locations and there's not much of a chance to play on the game's strength by talking with people. I wonder what would have happened if they'd re-written the game episodically with Edward Pierce slowly finding out about the evils of the island. I skimmed your review to make sure I didn’t spoil too much for myself since I’m a little early in but it does feel a little plodding so far (2-3 hours worth of play). I’m playing on a PC so I can’t speak to the Xbox One experience but I’ve never been one to fixate too much on the look. Still working on an opinion of the feel of the game. Voice acting has been disappointing so far though. I’ve had a couple of eye rolling moments on dialog tone. More to to come with more play. Still working on an opinion of the feel of the game. Voice acting has been disappointing so far though. I’ve had a couple of eye rolling moments on dialog tone. I look forward to your thoughts when done. The game is only about 5 hours long. I got it back when it first came out. I was able to finish it over a weekend. It could have been much better, more of an experience than a game. But it's something I can see myself playing every few years around Halloween or so.